Can You Spot the Red Flags When House Hunting? Red flags indicate problems, warnings, or issues ahead. Along the waterways, a red flag warns of dangerous waters and for swimmers to keep out. In football, a red flag is a coach’s request to a referee to review the play because the coach feels there has been an issue. It would be handy if houses came with bright red flags to mark any issues or defaults with the home but it doesn’t work that way. Instead, buyers must put on their critical eye and pay attention to the details of the home. Purchasing a home is one of the largest financial purchases most make in their lifetime. If you base your decision solely on the attractiveness of the home you may end up disappointed later on. Buyers making the best choices have navigated to avoid the red flags which often trip up less educated Buyers. The difference is identifying what the red flags are so you can sidestep any home defects and steer towards only the homes which bring the most value and features for the asking price. With the popularity of the do-it-yourself home television shows there’s an increase in the number of homeowners doing their own repairs. It looks easy as shown on television, and in some cases, it really is. Smart homeowners recognize their skills, their limits, and when a professional should be called in. This is especially true for plumbing and electrical repairs which follow strict building codes for everyone’s safety. 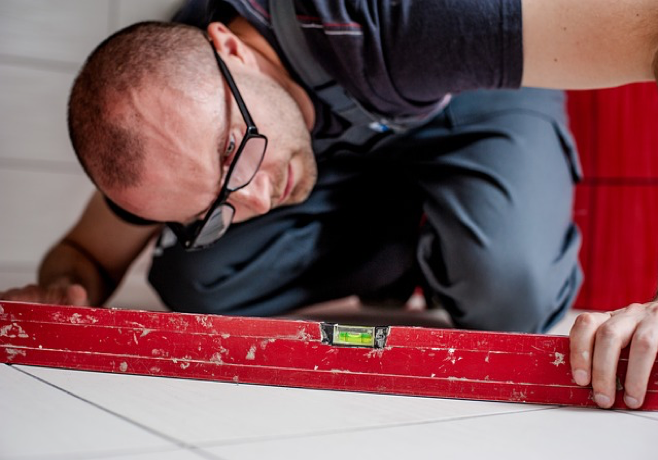 Pay attention to repairs as you walk through the home. The heating-ventilation-air conditioning system is central to your comfort level in a home. A home not properly ventilated will hold moisture that doesn’t evaporate which can lead to mold growth and poor air quality. An attic space not properly ventilated hold the heat inside raising the home’s overall temperature as well as allowing moisture to build up in the interior walls and structural elements of the home. An aged heating system is susceptible to failure which can allow carbon monoxide fumes to be emitted. Older systems won’t operate at peak efficiency levels, costing you higher energy bills. Watch for dripping faucets, leaking fixtures, and any poor or blocked drainage issues. Fill each sink then watch how smoothly and quickly the water drains. Flush the toilets. Did it drain properly? How’s the water pressure? If someone’s taking a shower and the dishwasher drains, does the pressure drop significantly? While observing the plumbing don’t overlook doing a walk around the exterior looking for any drainage issues or poor sloping areas which may direct unwanted water towards the home. Check the outlets to see if they are grounded—having three holes instead of two. Dated electrical systems can become a fire hazard and should be brought up to current code requirements. Examine the electrical panel and inquire to the type of wiring throughout. Some older homes may still have knob and nail wiring which doesn’t offer proper insulation by today’s standards. Pay attention to the smells inside the home. Close your eyes and sniff. Do you smell stale cigarette smoke, pet odors, and hints of mold and mildew? Often times a homeowner will become immune to the scents lingering in their home that smack a visitor in the face. If there’s an air freshener in every room as well burning candles throughout, are they attempting to mask unpleasant odors? These red flags may not be found while viewing but will be uncovered during a home inspection. This is one of the reasons we encourage buyers to have a home inspection conducted. We don’t want you to be scared away from a home because of any red flags found but to go into the possibility of a purchase with your eyes open and with a plan for addressing the issues. If you have any questions, don’t delay in contacting us.